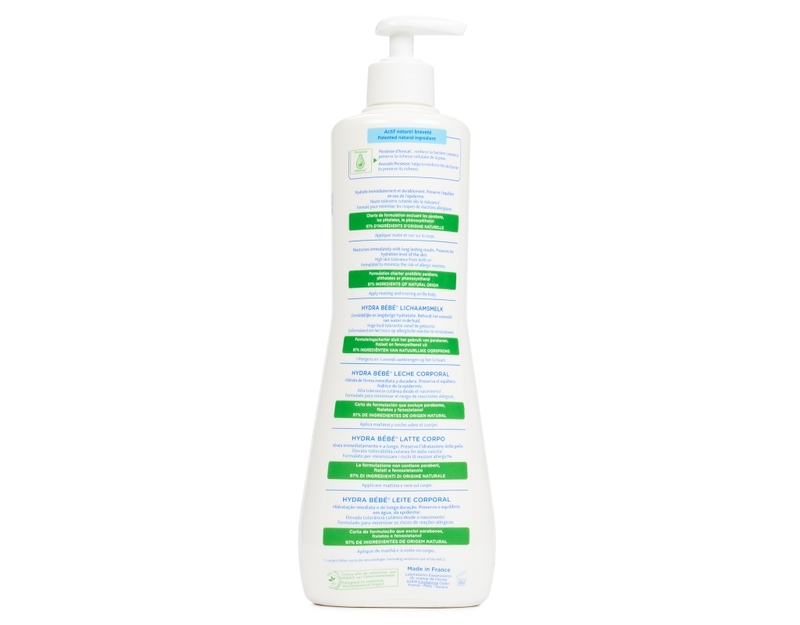 Mustela's best selling daily-moisturizing Hydra Bébé Body Lotion is a non-greasy formula that penetrates immediately providing long-lasting moisture for your baby's skin. 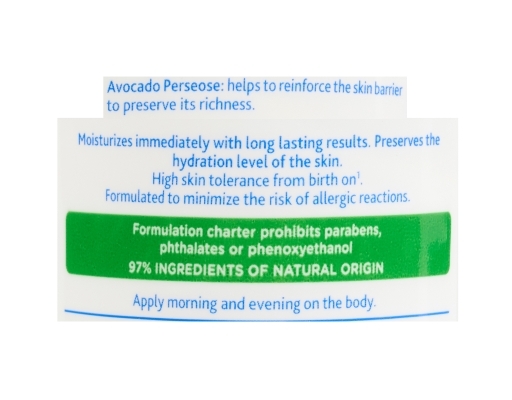 Formulated with an elixir of plant-based ingredients including Jojoba Oil, Sunflower Oil, Vitamins E and F, Sweet Almond Oil, Shea Butter, and Mustela's signature Avocado Perseose, Hydra Bébé Body Lotion protects and strengthens the skin. Its non-greasy formula penetrates immediately, leaving the skin silky-smooth, while a hint of Mustela's beloved and iconic fragrance lingers on the skin.